Construction hoists have an excellent track record of saving time, which leads to early and better results. They provide cost-effectiveness and help avoid accidents. 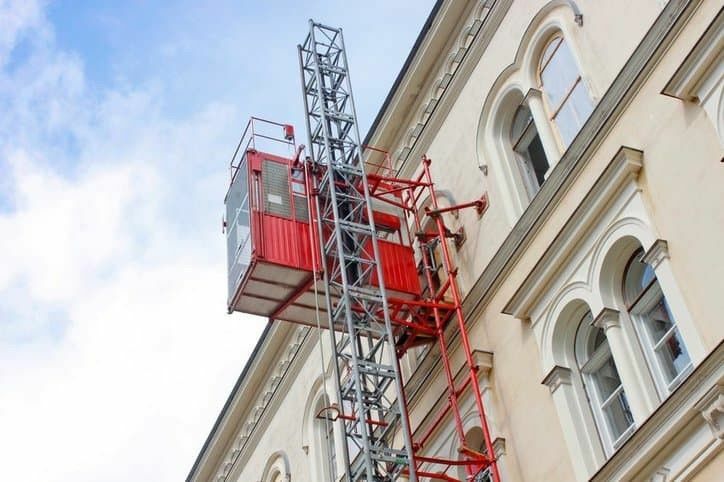 Elevator Service Company can fully customize your Construction Hoist according to the specific requirements of the construction site. Get the best out of your work space with this affordable and reliable solution. 1. Energy saving, high efficiency, easy disassembly and strong carry capacity. 2. High speed collocation greatly enhanced working efficiency. 3. Strong flexibility to power grid. 4. Steady start / stop, comfortable operation, small noise and low mechanical wear. Construction lifting hoist widely applies to such construction sites as industrial and civil architecture,bridge,underground,large chimney,and ship industry,etc. It suits the vertical transport of materials and personnels and also suits such different occasions as warehouses,high towers, etc. A: Our company is the intergration company who make design, manufacture, sales, and installation of the high operation working construction equipment. 2. Can we visit your factory? A: Yes, of course, you will be warmly welcome to visit our factory. 3. Do you have CE certificate? A: Yes, we have CE / GOST / ISO certificate.